Richie Kotzen isn't happy. He tells us that he has a sound in his monitor, he thought it was sorted out in sound check and he'd rather have it turned off than hear the buzz. In fact, if it continues, he wouldn't be, and quite right too; it all needs to come together to produce a good night. The sound improves and so does Kotzen on a night that the ex-Poison/Mr. Big/Winery Dogs man, who is his own man too, offers us a rare live solo gig. Firstly though, Peter Von Toy goes down remarkably well. Why remarkably? Well, he's up there with just an acoustic to give us his personal songs and tell us his rather rambling stories around them. It's an unchanging guitar sound, a roughened voice and a big sound, but it isn't enticing at all. Thankfully for him, Von Toy won't read this as he tells us he's not in this for fame etc., might not tour again and isn't on social media – except Facebook and Twitter. Kotzen has nothing to prove and he starts out simply presenting his songs to a far from full crowd. It's a power trio and as the evening progresses, it's clear they have the Funk chops to really shine. The main man settles into the set after rather scant connection at the beginning, and as he loosens up, the basis of this set becomes apparent. It's a club jam gig, rather like Rich Robinson a few years ago in the same venue. He'll play songs we want, but he'll do it on his terms – why not? This is his talent we're celebrating here. 'Love Is Blind', after his outburst, settles into a low-slung groove, 'High' is so, so smoky we can barely see the band and 'The Road' has a gorgeous Soul sense with Kotzen on piano. As things progress, things develop into a Soul/Funk/Rock jam, extensive solos for jazzy drums and some mighty thumb on the bass. If they can noodle a little too long sometimes, to hear them trading off each other is nothing short of a treat; in fact, 'Help Me' has a wondrous funky power. Did we expect this to be a conventional tour retelling of his great 'Salting Earth' album? 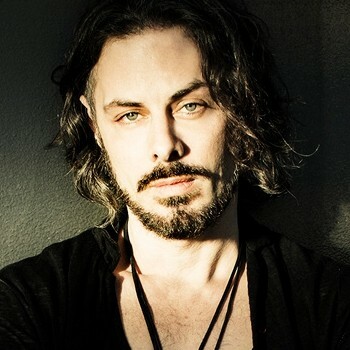 Richie Kotzen ain't that kind of artist, what he wants to do, he does, just because he wants to. Tonight, that was absolutely what the crowd wanted too.